Join Adriene on Day 24 of the 30 Days of Yoga journey! Gentle Yummy Yoga to restore. Quick and supportive practice! **With extended Savasana! ** Find balance in your 30 Day Yoga Journey. If you are thinking about skipping this one – don’t! 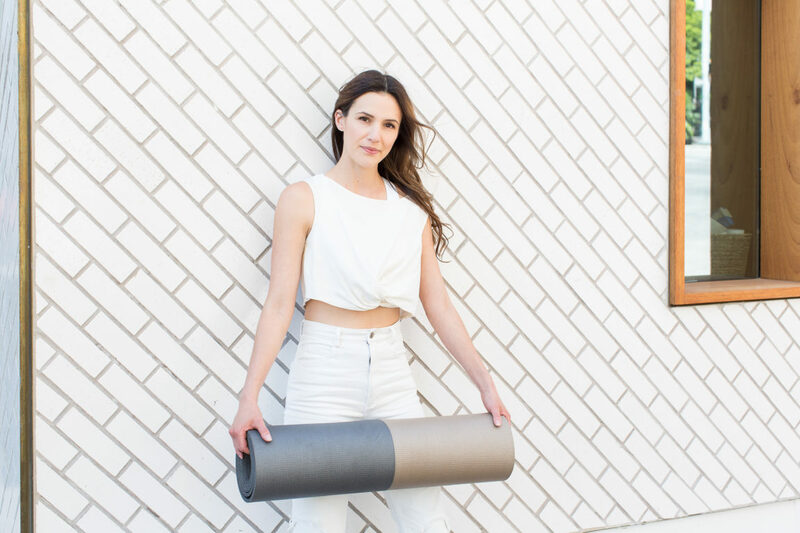 This restorative Happy Hips practice has your back. I figured we could all use this today. Gentle Yoga is not just “easy yoga” – for me it is essential in finding balance and ease. It is a way to slow down and make sure I am not harming my body. Practice kindness and mindfulness. ENJOY! Pair with another day if you are absolutely craving more heat! Find What Feels Good. Enjoy! All to say about Day 24 is HAPPY! More of it. Have a good Sunday everyone. I’m so grateful for today’s yoga practice. I’m on the other side of the world, following you half a day late. I couldn’t do day 23 this morning because of a morning appointment, I come home all exhausted in the evening and I find the new video, Day 24 is exactly what I needed tonight! Thank you! I often find the folds to be the most challenging. Hopefully in time my body becomes more flexible.Thank you for today’s video! I,m a yoga late bloomer but after my daughter adrienne tipped me off about your thirty day treat, I have done a number of your videos and adored them! I would like to download the entire series and donate but don’t put credit cards on my iPad. Can you share a mailing address where I can send a check and the whe you have received it, email me the thirty files? A grandma yogi wannabe. I love the music in the background. Feels great to practice like that. Thank you for this great slow and quiet practice. This is awsome, thank you for the challenge of this days. I feel good with my body and my mind. Ok, I fell behind a couple days because I started going to roller derby practices. 🙂 But I’m not concerned, I’ll catch up when I can! Yoga is definitely the best medicine for all these sore muscles I’ve suddenly discovered. Also, not only are my parents doing the 30 days, but my sister has now joined up too! Now if we can just get my brother on board it’ll be a whole family affair! I’ve dabbled a bit in yoga before but here I am, Day 24 and I am so in love! I finished this video and (I can’t believe I’m saying this) I just had to do a down dog. When you said a few days before this was a “resting posture” I laughed out loud. I’m so thankful for you and your yoga videos. My body craves the daily practice already! Day 24 – Is the toughest for me. I just could not bend over sitting down. Thanks to my darn tight hamstrings, the V of my legs maybe 45 deg while you do 120 deg or more. But I will get there someday. Thank you so much. Much love ! Today’s practise felt so good! The pace and the stretches were amazing. The subtle music in the background made a nice touch. I think today has been my favourite and it came at just the right time. Best way to end a long day! Stretching is so important! Today was great for me as I had an intense zumba session yesterday. It was my first session in 2 years since I was diagnosed an auto-immune disease. Not only does yoga help me with my other physical exercise practices but it also taught me a lot about self-care and self-love. I realised yoga helps me deal with my condition in a loving and positive way by showing me I can do this! Thank you for sharing your yoga knowledge with us. Hi Adriene!! Day 24 was awesome!! I literally did the practice in my pajamas! What a wonderful break!! Well, that was wonderful! Restorative indeed! I’ve been doing every video each day with success! Today, though, for some reason, my equilibrium must be off. I’ve been getting SO nauseous every time I try and bend over while seated on the mat. I took a little break and came back to try again, and the same thing happened! So strange… it’s never happened before. Wow…day 24 is my most favorite one ever! Healing and loving. Allow, release, and let go. Namaste. I’m loving the challenge of yoga and day 24 was saw relaxing. That felt so great after not sleeping very soundly and having a painful kink in my neck. I have 1 question. The seated posture at the beginning with the feet pulled in really hurts my left ankle. My joint is very weak and sensitive, so is it okay to put some padding under it? Is this normal? I want to thank you for your work. I really appreciate it. And all my descriptive words would be like a cliche after lots of compliments, but you really deserve to be praised. You like a candle in the dark. I mean, you make others forget about their problems or whatever bad things happened in their life. You know, what is my favorite part in the yoga, it is when I finish doing it and lie on the floor. When I do it, it feels I’m letting all bad things go, I feel myself so quiet. So thanks again! Can you tell me what the sound/music is in the background of this video? (Day 24 video of the 30 Days of Yoga). Thank you so much for this 30 day practice. It is getting me back to my old self and my body and mind could not be happier. I am having trouble with the Day 24 video. I have tried a handful of times of different days and the video freezes after 7 seconds and will not advance. I have had no trouble with the other videos. I don’t know if it is a problem on my end or if it is the video itself and wondered if anyone else was having a problem. But overall, I LOVE this series. Thank you so much. Did you get the license plate Namaste in Zihuatanejo, Mexico??? Also, loving this 30 day practice. I love love LOVE these videos! I have totally fallen in love with Yoga- thank you Adriene! Ps what’s the music in the background? Yummy sequence ! Thank you ! Just what I needed to begin slowly my day (and the week), perfect fill me up with good intentions and mantras. I love all of these videos, but this was so awesome! I loved the mantra, the relaxation, the music–everything! I am definitely going to go back to Day 24 again and again!